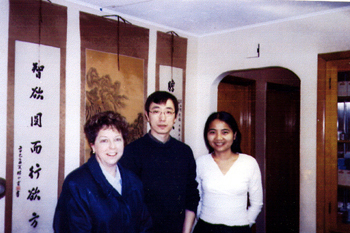 I am very grateful to have found New Realm Acupuncture Center, GAO and Jing. I had been suffering from very painful sinusitis for several months that would not go away. As soon as the first needle was inserted, I felt relief. I kept coming back and as a result for the first time in my life I had no allergy symptoms this past spring. The acupuncture has helped with joint pain, headaches, back pain and stress for me. I have been going through a very stressful time and do not know how I would have succeeded it without the help of GAO and Jing. Acupuncture is very very good medicine.